My father could multiple four digits times four digits in his head. 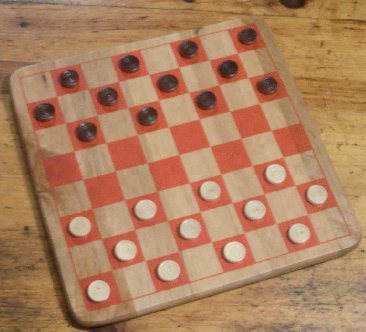 My father loves to play checkers, maybe it is because he seldom loses. It would be foolish for me to challenge my father in math, and my father and mother did not raise a fool. However, it appear the world is increasingly become full of fools, who feel empowered to believe they are equal to people with superior skills. I am wondering where the world will go from here, there is a belief that a computer can make a smart person out of a dumb one. I do not believe it works that way, and if you have a PHD in Math, it does not mean you are better at math than my father. My father is genetically wired for math, I am his son, and for that I will forever be grateful. And the wise person talking to my father has a calculator in his hand, and a piece of paper to make the game of life marginally equal, but there is no way to negate natural skills.